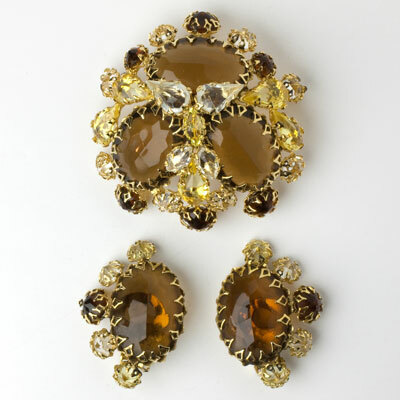 This collection of Schreiner jewelry includes 1950s earrings and sets from this exceptional American maker. Started by Henry Schreiner in 1932, the business was continued by his daughter and son-in-law following his death. 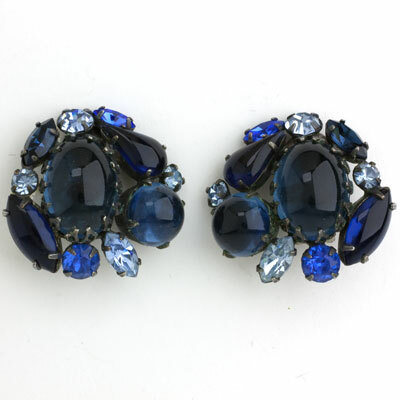 Known for their imaginative color combinations; high-quality stones in unusual shapes and settings; elaborate designs; and hand-set and finished pieces, the company supplied America’s top fashion designers in the 1950s-1960s with jeweled ornaments and accessories. Only pieces made for direct sale to department stores were signed. Yet because of their distinctive characteristics, unsigned pieces by this company can usually be accurately attributed. 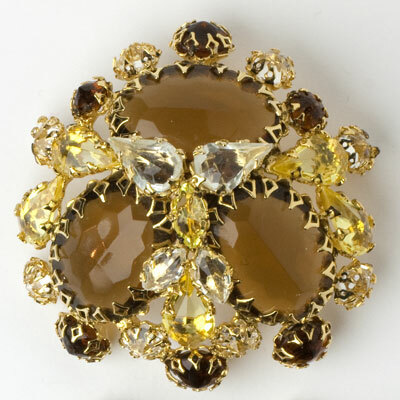 Schreiner jewelry is coveted by collectors today. Read more about Schreiner. These Schreiner earrings are striking in design and color, with lush-emerald-glass stones accented with faux pearls and diamanté. 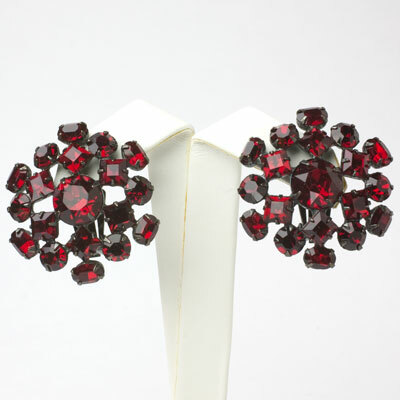 Though unsigned, these 1950s ear clips show all of the characteristics of Schreiner pieces. 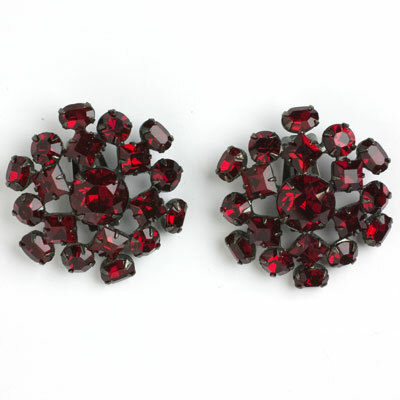 They have high-quality stones in dog-tooth settings with donut-hole ear clips. The emeralds even have inclusions! 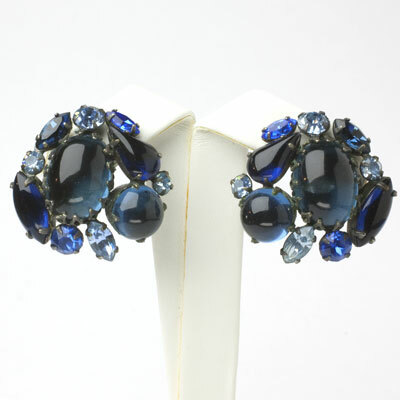 These silver-tone earrings are stunning for any occasion. They face each other, so they frame your face and make whatever you’re wearing look even more special. This pair sparkled on the runway at Toronto Fashion Week for Spring 2019.